Kenny’s Great Pies of Smyrna, Ga., is recalling 22-oz. 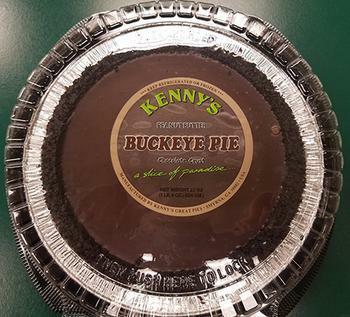 packages of Kenny’s Buckeye Pie. The product may contain wheat, an allergen not declared on the label. The recalled product, which comes in 22 ounce, clear plastic package with a black base and the UPC# 7 11276 50277 7, was sold in retail stores in the Ohio area between the dates of from August 26 to October 16, 2017. Consumers with questions may contact the company at (770) 333-0043 Ext. 113 Monday through Friday from 8am – 5pm (EST).